epTools is a platform for the evaluation of heart rhythm disorders. It is a universal app running on iPad, iPhone and iPod Touch devices. 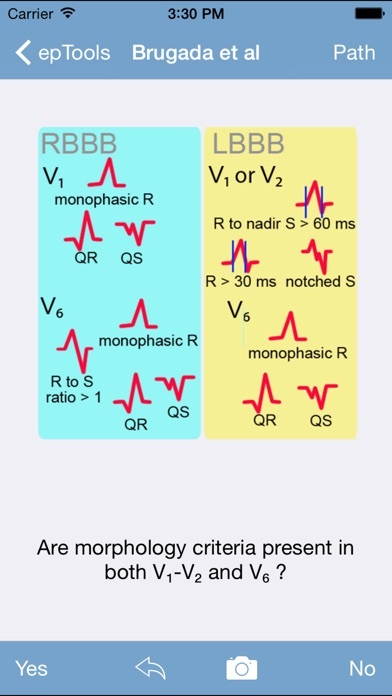 Resources include algorithms commonly used to localize arrhythmia substrates and reference guides to assist in the identification of clinical conditions involving abnormalities of cardiac rhythm. Algorithms are implemented via an intuitive user interface. These algorithms guide the user through a series of questions to arrive at an answer while providing a graphical visualization of their progress and result of their analysis. Use of the save path to image feature allows users to save an image of the current decision path when using many of the decision analysis tools included. These images, which appear in the photo album, may be useful to communicate findings with colleagues. Users may access scientific reference material cited in the app. Many of the references are available for free or are easily accessible by subscription holders. Localization of accessory pathways by patterns of manifest pre-excitation on 12-lead electrocardiograms based on Arruda, Milstein, Taguchi and D'Avila et al algorithms. Localization of atrial tachycardias: Algorithms provided (based on Ellenbogen et al and Kistler et al) assist in the localization of ATs from 12-lead electrocardiogram. The De Ponti et al tool calculates the appropriate mapping window to identify the isthmus of an AT. The Miyazaki et al tool localizes macro reentrant ATs based on pacing responses. Tools to assist with diagnosis of preexcitation variants, J-wave syndromes and entrainment site localization are included. Localization of ischemic ventricular tachycardia: Two algorithms are provided (based on Miller et al and Segal et al) to assist in the localization of exit sites for ventricular tachycardia in the setting of single and multiple myocardial infarction based on findings on 12- lead electrocardiograms during ventricular tachycardia. 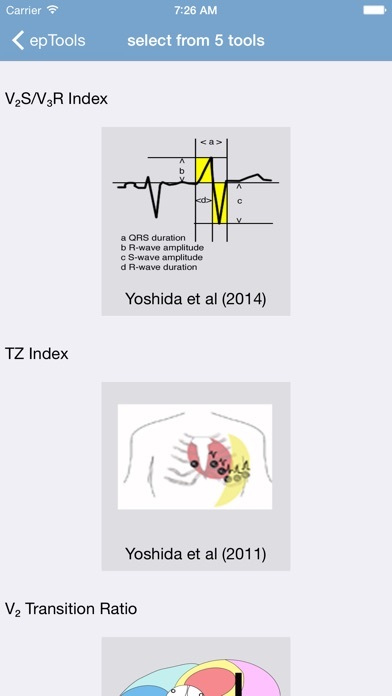 Localization of idiopathic ventricular tachycardia and premature ventricular contractions: A reference is provided consisting of ECG findings for various idiopathic ventricular arrhythmia locations as well as a tool to search this reference by property. The Ito and Park et al algorithms assist in the localization of ventricular ectopic activity and tachycardia. Six tools are provided to differentiate right ventricular from left ventricular (aortic cusp) outflow tract arrhythmias via calculation of the QRS-RVA Interval the V₂S/V₃R Index, TZ Index, V₂ Transition ratio and the R/S-wave Amplitude and R-Wave Duration indices. 2 tools are provided to differentiate endocardial from epicardial VTs (calculation of the MDI, Daniels et al and the Berruezo criteria). Disease Assessment: Consensus criteria for ARVD/C and Short QT Syndrome. Calculators for estimated 5-yr risk of SCD in HCM (O'Mahon et al), the likelihood of inadequate defibrillation safety margin (Hsu et al ), extent of left atrial arrhythmogenic substrate (Kosiuk et al), 30-day all-cause mortality after PPM and ICD lead extraction (Brunner et al), 1-4 year mortality rate for patients undergoing 1° prevention ICD placement (Bilchick et al, SHOCKED) ,and a Shanghai score calculator(Brugada Syndrome) are provided. A CIED/electrocautery manager is included. Detailed preoperative plans can be created and shared by text or email. A clinical guidelines and consensus statement resource is provided. Tools to differentiate SVT from VT using 12-lead electrocardiogram features utilizing the Brugada and Verckei et al algorithms. Tools for CHADS₂, CHA₂DS₂VASc and ATRIA stroke risk, HAS-BLED bleeding risk scores, QT correction heart rate (Bazett or Fredericia, Hodges) and left bundle branch block (Bogosian et al) and a CL to bpm interconverter are provided. Reference examples using the included tools are available on our website (www.busy-being-born.com/examples). This is the best EP app I've ever seen! Thank you for this excellent app. Suggested addition: New algorithm using only lead aVR for differential diagnosis of wide QRS complex tachycardia. Heart Rhythm. 2008 Jan;5(1):89-98. -- Addendum: remains excellent with update to 2.0. Thank you for adding the suggestion above! Cudos to the authors for finally developing an app for EP. 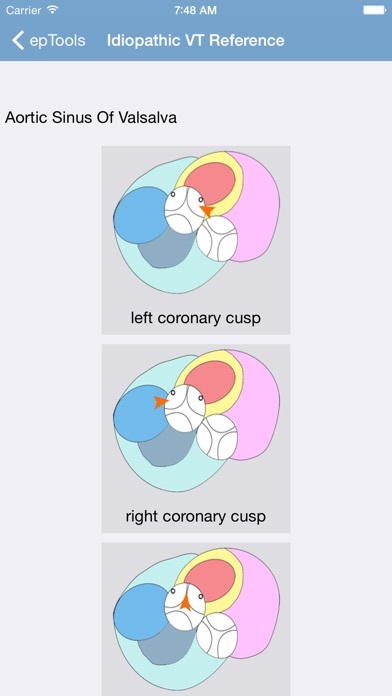 There are countless of possibilities - aortic cusp , Rvot, entrainment criteria, long qt , AFib ablation techniques. If this were updated with reasonable frequency, and expanded it wod be worth paying for/supporting ! great app, very useful, and easy to use. Highly recommended app. This tool is easy to use so much that u can use during a case. I recommend this AP for any EP or staff. "very helpful, easy to use and very accurate. Really helps prepare for ablations". 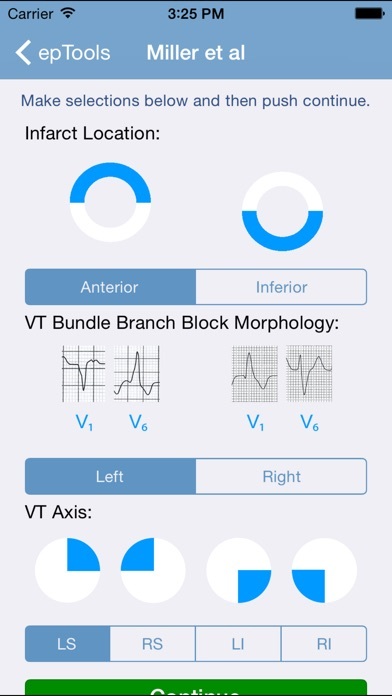 This app represents one of the most useful tools for the practicing electrophysiologists available for iphone. 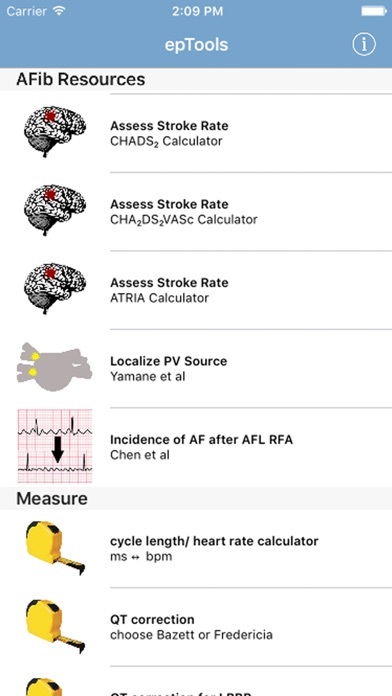 Quickly allows for one to make critical decisions regarding the likely location of an accessory pathway for WPW or atrial tachycardia locations using the known algorithms in the literature. I have found this quite useful in my clinic or in the EP lab before starting a case. I am sure additional algorithms will be added with time. Highly recommended and tested already in my busy practice!